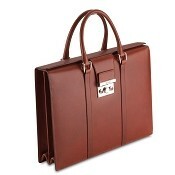 Our brown luxury leather briefcases are handmade in top quality leather by world class artisans. 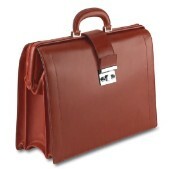 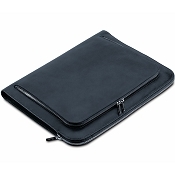 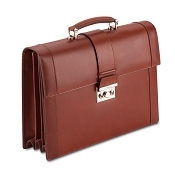 We offer luxury briefcases in classy designs, sizes from large to small and in a variety of shades and hues of brown. 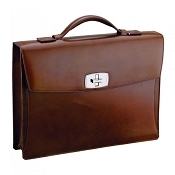 They are designed for the powerful executive, rising professional, or the well dressed entrepreneur. 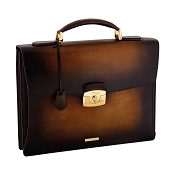 Buy personalized or custom made-to-to order. 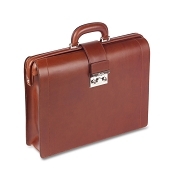 We offer brown leather briefcases in many styles: Buy brief bags, flap over, top zip, satchels, laptop briefcases, and briefcases on wheels, all crafted in realized in beautiful brown leather. 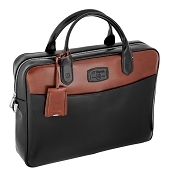 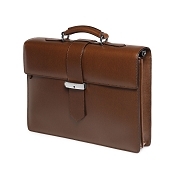 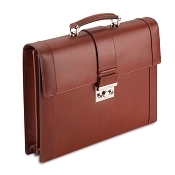 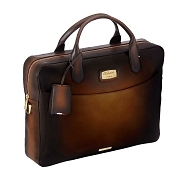 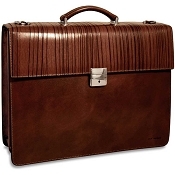 Get a brown leather briefcase with single gusset, double gusset or triple gusset interior. 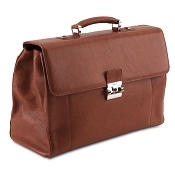 These are just a few examples of our brown business bags and cases. 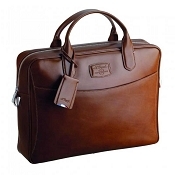 Handmade by world class leather artisans, the designs and details are the best, second to none.